With the research all done, I started thinking about how I wanted to build my PlotBot. Having looked at the other designs, I found they were either mounted on a wooden frame and then a piece of paper is taped onto the wooden panel, or they draw directly onto a surface like glass or a wall. Given that the aim is just to make something that catches peoples eye, rather than making posters or drawings for people, I think the best course of action would be to use a whiteboard. I can get one reasonably cheaply, and the mounting is pretty much already sorted. 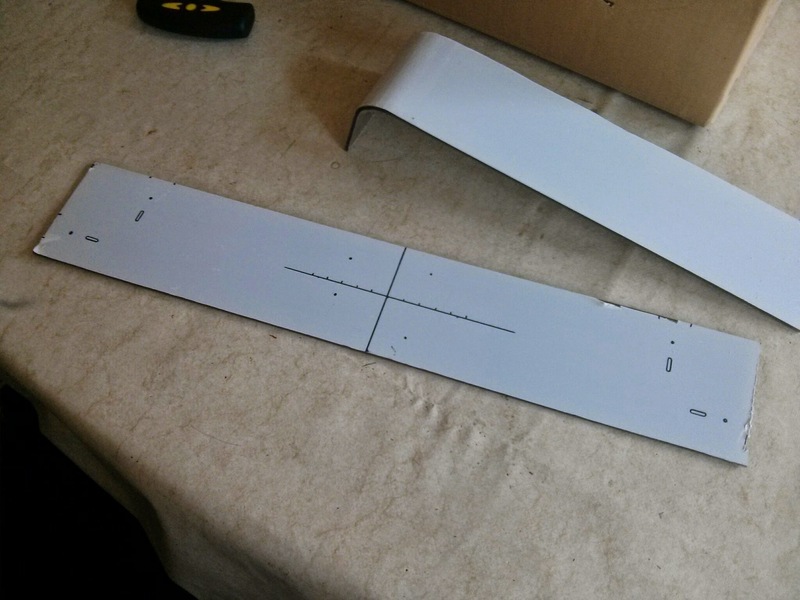 Once I had bought a whiteboard (600mm x 450mm) I started lining up the parts I had as to how I would mount them. I had also bought 2 Pololu 1204 Stepper Motors and an Adafruit Motorshield v2 (AFMSv2). I did have a few concerns with these parts combined together, in that the motors only draw 600mA and the motorshield provides 1.2A per channel, therefore the motors might get a little hot if they start drawing more than they should – but we’ll see how it goes! Roughly lining up the parts on a sheet of acrylic. 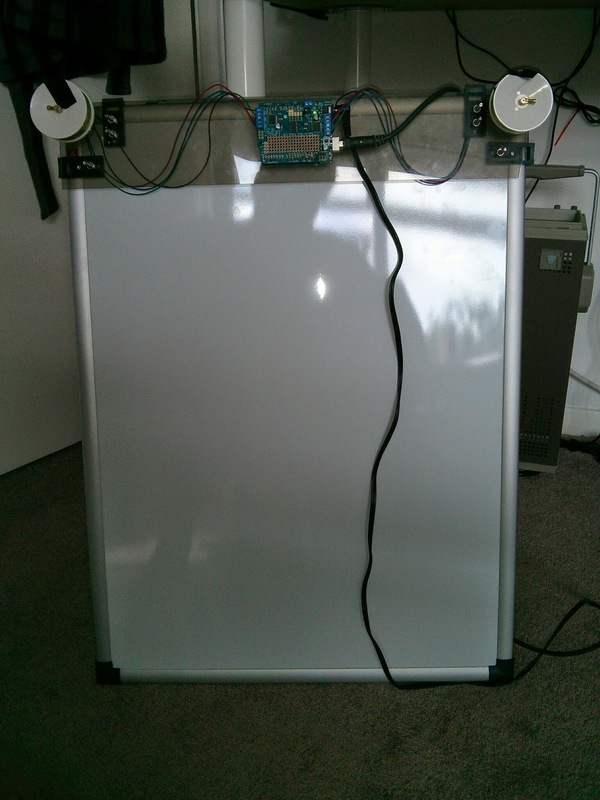 To mount the acrylic sheet to the whiteboard I used two of the mounts supplied with the whiteboard secured on the top of the sheet. These then hook onto the edge of the whiteboard, and the mounts on the side are adjustable to “lock in” the sheet to the sides of the board. 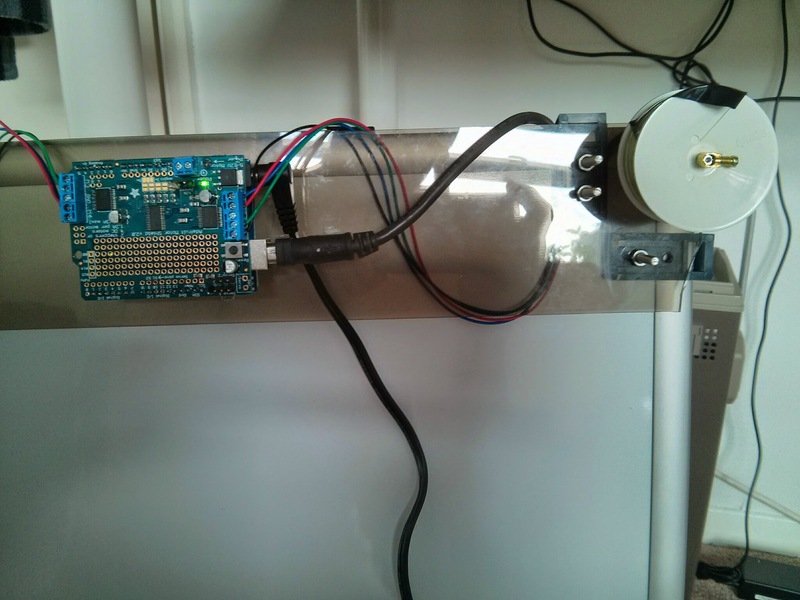 Finally I decided to neatly mount the arduino and AFMSv2 in the center of the acrylic sheet. I picked up two remote control car wheels at a local hobby store, along with 50m of fishing line, which would form the basis for my reels. 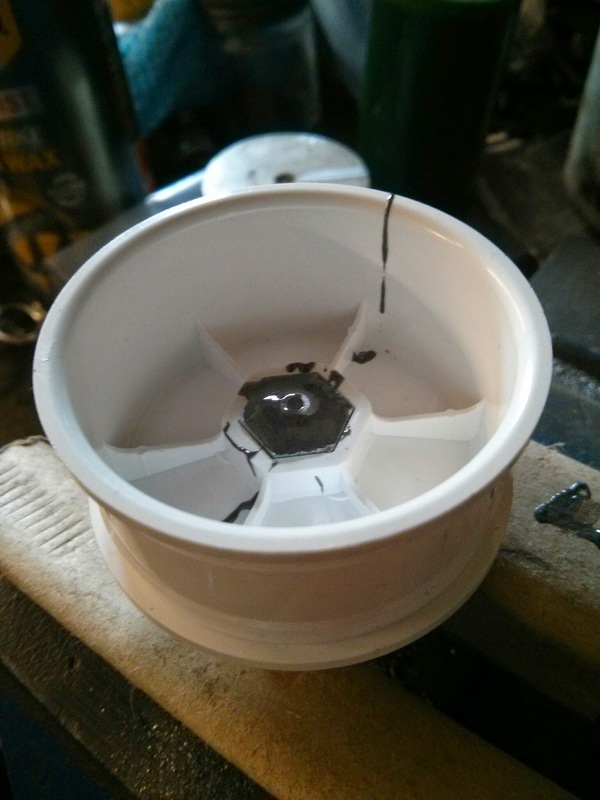 I found some nuts in the garage that fitted the inside of the wheel, and used Araldite (metal glue) to fill the gap around the stepper motor shaft hoping that this wouldn’t go wrong. Araldite’s in, I was a little bit messy dripping it everywhere! With the luck of the gods, after leaving it 24 hours to cure I was able to punch the stepper motor shaft out of the nut, leaving a nice shaped hole. 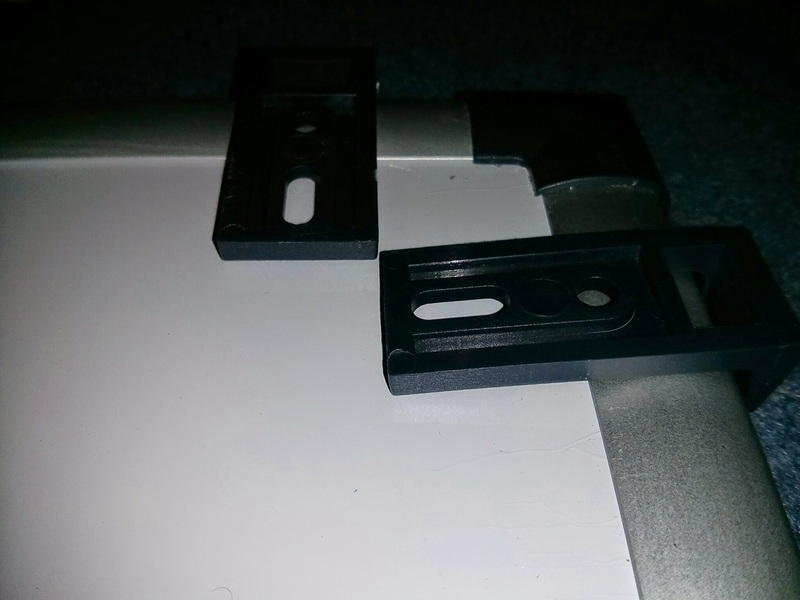 The advantage of this method being that I can very easily remove the reels and use the steppers in other projects. Now that I have the reels mounted on the steppers, I was able to complete the main build; mounting the steppers onto the acrylic sheet, and winding the fishing line onto the wheels – happy days! So You’ve got yourself a Lilypad? So as part of my involvement with TinkerSoc, we now have our new hoodies. These hoodies are designed so that a Lilypad Arduino can be sewn onto it and then components added to it. We will be wearing hoodies that we can literally tinker with. For those that don’t know, the Arduino Lilypad is an Arduino development platform intended for clothing and e-textiles. Using conductive thread you can sew tracks and components onto any fabric and then programmed. 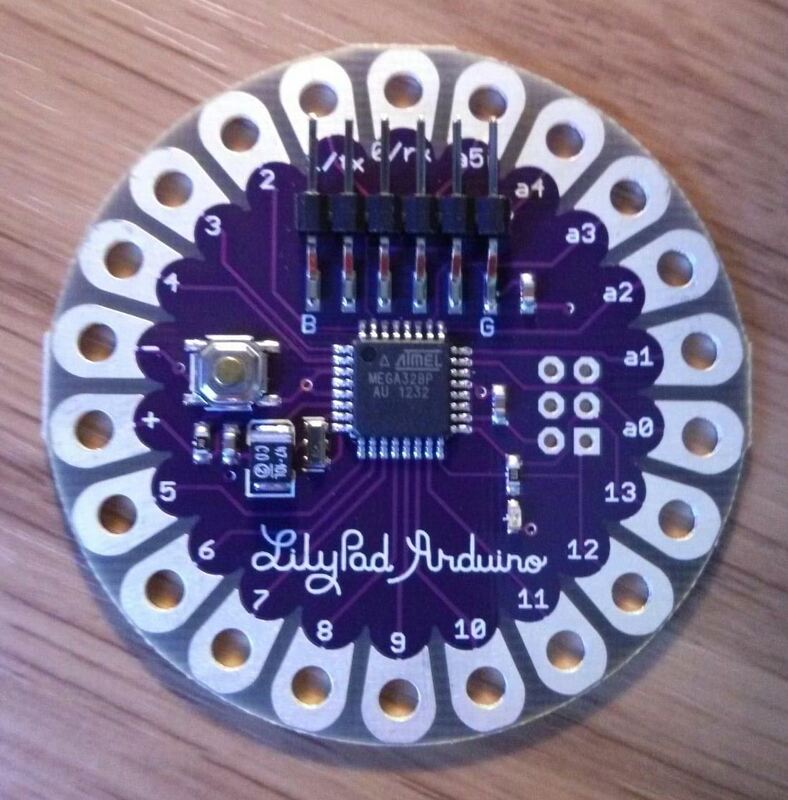 The Lilypad doesn’t have a USB plug like an ordinary Arduino Uno. This is because the Lilypad does not have a FTDI Chip (Future Technology Devices International Ltd) unlike the Uno and many other Arduino’s. 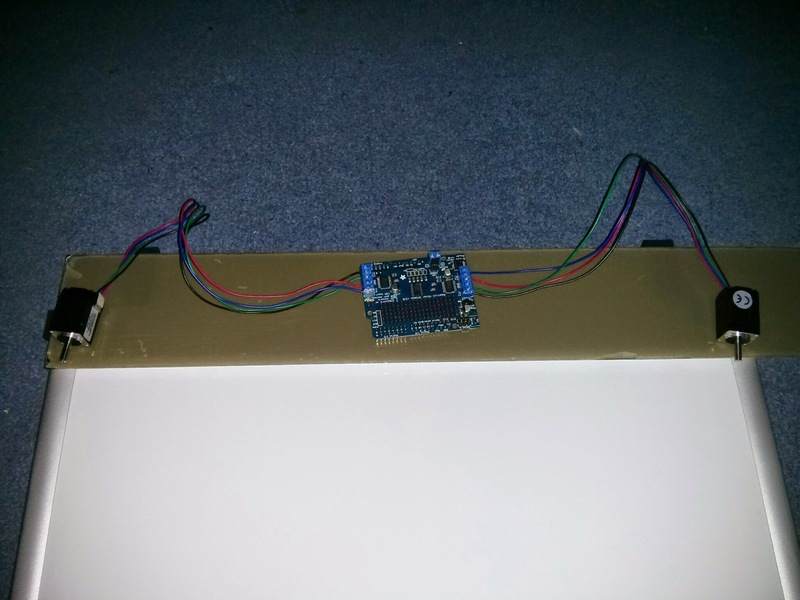 The FTDI chip converts the USB to serial communication. And with that done you are ready to start programming, I suggest loading up the example blink program first. Enjoy.